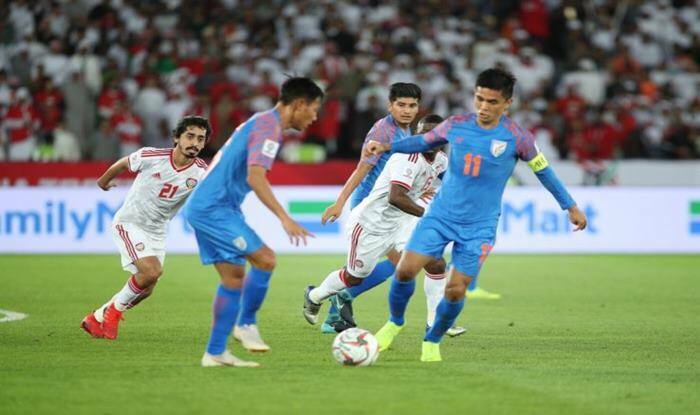 The Indian football team Thursday slipped out of the top 100 in the latest FIFA rankings following their back to back group league defeats during the AFC Asian Cup in the UAE. Skipper Sunil Chhetri and Co. slumped six places to be ranked 103 with 1219 points in the FIFA rankings released on Thursday. India also dropped out of the top 16 in the AFC rankings, plummeting to 18th. Newly crowned Asian champions Qatar have climbed to 55th in the latest FIFA World Ranking, gaining 38 places – and reaching their best position since 1993 – on the back of their stunning success in UAE.